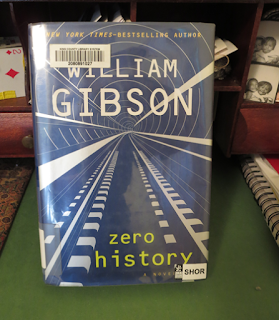 July's book was Zero History by William Gibson. Hollis Henry, a famous in-her-day band member, needs some money and accepts a job from the shadowy oligarch, Bigend, whom she vowed to never work for again. Her task is to find the creator of a secret brand. Milgrim is a junkie sent to rehab by the same oligarch and almost re-built as a human being. Now Bigend wants to get into providing uniforms for the military and charges Milgrim with finding and copying a prototype. The owner of the prototype is not pleased. Suspense and danger follow. I don't even know how to describe this book. The writing is detailed, creating a rich sense of place and filled with many new-to-me concepts: secret brands,Vegas cubes, rattan bones, the interplay between military uniforms and men's fashion. Half the time I wasn't sure what was going on but I was drawn along for the ride. The gradual revealing of Milgrim's character to himself and us is compelling. The book could probably use some cutting especially towards the end when Hollis' old boyfriend, who seems to have all the resources, enters and saves the day. I found him less interesting than Hollis and Milgram. Among other books read in July was Mariana by Monica Dickens recommended by organdie who also introduced me to the term "hot-water bottle book" a perfect descriptor for a comfort book. Why, you may ask, didn't I review Flashman, which I said was my July read? I tried to read this book before. I saw another recommendation for it by Daniel O'Malley, the author of the terrific The Rook. I gave it another chance. I couldn't get beyond the first chapters. The main character is so unpleasant. Who am I rooting for here? Maybe it is a guy book in the "women are props like weapons and horses" genre. O'Malley also recommended Zero History. I switched July's book and the rest is...history. 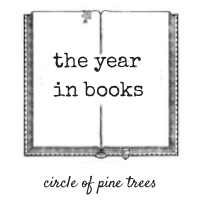 August's book is Half Broke Horses by Jeannette Walls, which I've already finished, so I don't have to read any more books this month.